Ben Schwarz, professional soccer player from Munich, travelled to Bristol with the team doctor to undergo surgery. Ben sought a special consultation with the internationally renowned Orthopaedic Surgeon, David Johnson, of the Spire Bristol Hospital. Ben has been unable to play this season due to a knee injury sustained nearly a year ago. Despite extensive rehabilitation and treatment he has been unable to return to playing. Ben suffers from patellar tendonitis. Mr. Johnson first discovered the cause of this condition and designed a specific specialised ground breaking procedure some years ago. As a result patients travel from all over the world to Bristol for this specialised procedure. Mr. Johnson remains one of only a few surgeons around the world who can undertake this revolutionary procedure. Mr. Johnson said ”Many of the UK’s elite soccer players are sent by their agents or physiotherapists for surgery in the USA whilst a better and more successful technique was developed and is available here in the UK. It always amazes me that whilst we have soccer players from Germany, American Football players from the USA, teachers from Korea and doctors from Australia fly in to Bristol to see me for this procedure, many of our elite premiership players end up like Steffie Graff, the tennis player, whose career was ended by patellar tendonitis. It always seems such a waste when I read about this in the papers and think what might have been possible“. 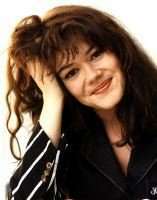 Arthroscopy – Actress and comedienne Josie Lawrence…. undergoes a keyhole operation at the Bristol Nuffield Hospital. Copyright © 2015 The Bristol Knee and Sports Injury Clinic. All Rights Reserved. The Bristol Knee and Sports Injury Clinic provides this Internet site for your general information only. The advice contained within the web site and or any advice provided at any time by any staff or documentation of Bristol Knee and Sports Injury Clinic is provided only as a limited review based on the limited information provided. The service does not take account of the medical history, other medical conditions, medical ailments, medications or drugs prescribed or taken, and has not reviewed a complete patient history or undertaken any examination. Any opinion expressed is limited by these constraints and is only to be used as a second opinion and does not assume or take over any care from the primary treating local clinician or doctor. Any opinion expressed is not to be taken as a full clinical consultation or relied upon for any treatment decisions. A full personal clinical consultation is available on request. You should always check with your local health care professional and original treating doctor or clinician before changing a treatment plan or submitting to any treatment. The information provided here is not a substitute for medical care. If you have or suspect you have a health problem, you should consult your health care professional. If you suspect that you have any infection, thrombosis or clotting disorder, tumor, cancer or deterioration in your condition or symptoms or feel unwell at any time, if the symptoms deteriorate or get worse then please consult you treating doctor or immediately seek emergency care.